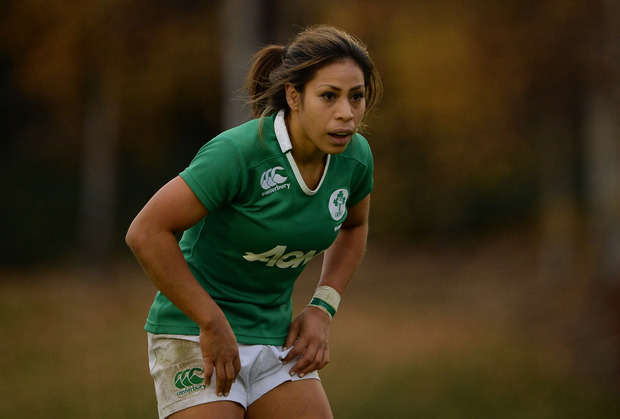 Ireland women's rugby star Sene Naoupu has opened up on how she battled with an eating disorder early in her career. The New Zealander has been one of the Irish team's standout performers since making her international debut in 2015, winning the Six Nations the same year and representing the side at the 2017 World Cup on home soil. Naoupu came to Ireland with her husband and former rugby player George, who moved to Connacht in 2009, but before she became an international rugby star, the talented back struggled with an eating disorder. Speaking to Evanne Ni Chuilinn on RTÉ to mark Eating Disorder Awareness Week, Naoupu revealed how she developed a problem during her college years. "It wasn't easy at all and a real turning point in my life," Naoupu said. "It's something I was in denial about for a very long time. I was always very sporty but I loved school as well. At that stage of my life a few different things were happening. I was training in a rugby academy at the time and was studying at university. A whole bunch of pressures resulted in an eating disorder. "It was an interesting time and a lot of my experiences before that culminated in that particular moment. Health professionals would agree that this sort of eating disorder was a form of control where other parts of my life were perhaps out of control. It was an interesting process to go through but one that I am extremely grateful for. I wish it upon nobody, though." Naoupu was able to overcome her problem and credits self-help books and her family with helping her to come out on the other side and launch a stellar rugby career. "There were a couple of soft triggers, which included self-help books, but the true awakening was the birth of my first niece back in New Zealand. My family and I are very close. They (my family) initially just wanted me to be in the room, but it was a moment of grace, to be at my sister’s leg, and to help deliver the baby. And that literally turned my life around."